What makes EasyBadge ID card printing software stand out from the crowd? EasyBadge ID card printing software is a market-leading solution. It prides itself on being the most user-friendly and easy to use card printing software with a modern clean interface. Not only is it extremely easy to use, it operates using a simple wizard-driven interface and comes with advanced support features such as an interactive help system. It will even offer to complete a task you might be struggling with. 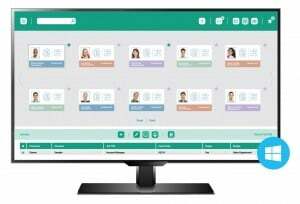 It also offers advanced features such as a free EasyBadge app for Apple and Android devices which allows off-site capturing of client images and new record additions which will sync up to the EasyBadge software installed on a Windows PC or notebook, ready for printing to a card printer. EasyBadge is available either as standalone software for use with your existing ID Card printer, or as a printer & software bundle. EasyBadge is unlike any other card printing software on the planet as it comes complete with its own app. 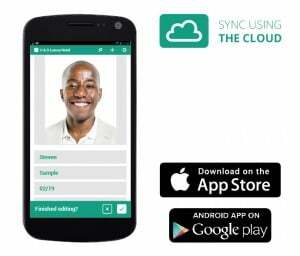 Taking a camera around with you is a thing of the past, as the app allows you to capture a new photo from your Apple or Android based smartphone or tablet, add or edit records, search the database and upload the new or edited record from any location with internet access. 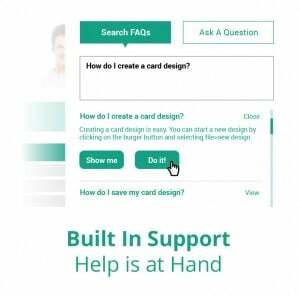 The interactive built in help system allows you to ask a question directly within the software and even gives you the option to complete the task for you. 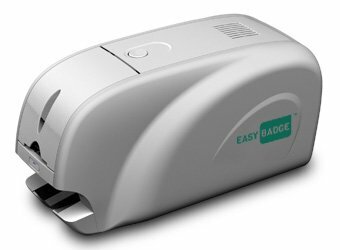 EasyBadge is compatible with all leading plastic card printers. Does your plastic card printing software get you printing stunning new cards in under 60 seconds? EasyBadge does. EasyBadge is the most advanced and user-friendly software on the planet. 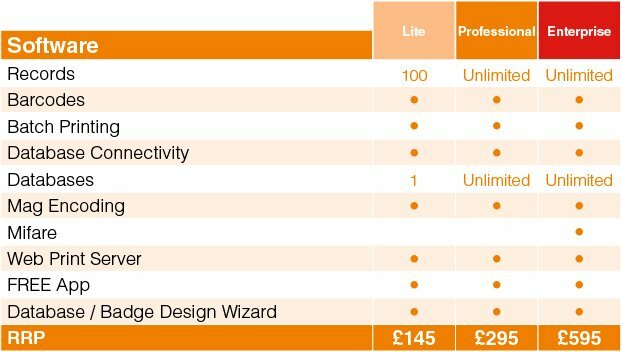 EasyBadge Lite is the solution that SME’s, small clubs and organisations have been looking for, as the software provides up to 100 records meaning you don’t pay for a full subscription service. EasyBadge Professional gives you unlimited records and with its simple and intuitive is the most advanced card printing software available on the planet. 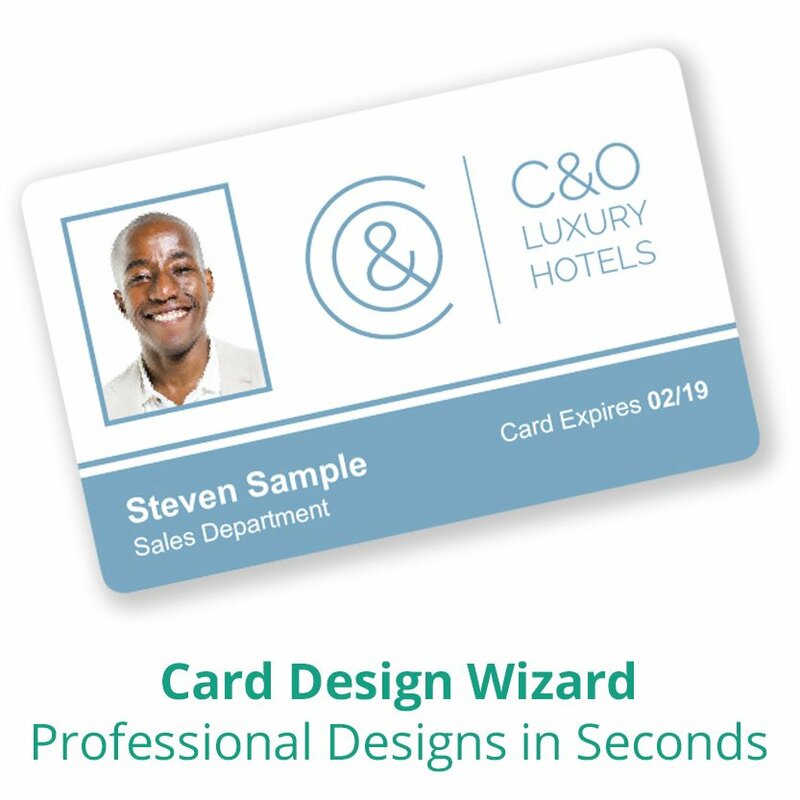 Printing plastic cards in under 60 seconds is so simple with EasyBadge as the set-up wizard will guide you through the installation process and use your current logo or artwork to create a new card design. As EasyBadge Professional provides an unlimited number of records it is ideal for larger corporation staff ID cards systems and clubs or organisations wishing to quickly and easily issue members with stunning plastic membership cards. Having the ability to encode NFC and contactless smart cards, EasyBadge Enterprise is the most advanced plastic card printing software on the planet. The Enterprise version comes with unlimited records meaning that it is suited towards University/College student ID card issuance, large corporation staff ID cards requirements and travel concession card issuance systems. get in touch to arrange a free demonstration!